If you’re wondering how to finance a house flip, you’re not alone. Buying, renovating, then quickly reselling houses for profit can be a highly lucrative endeavor, yet finding a loan to fund such a project isn’t anything like getting a conventional loan for a home you intend to actually live in. 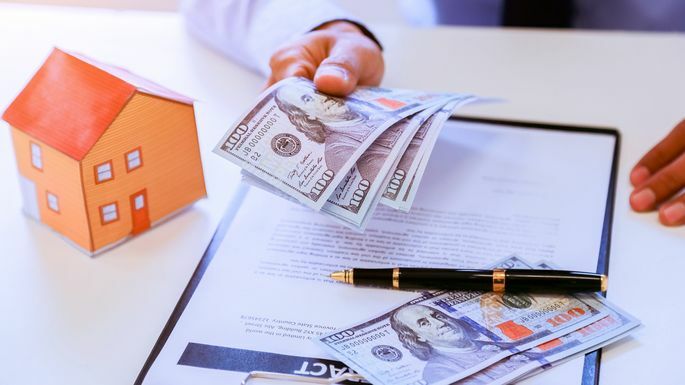 In fact, there are six types of “fix-and-flip loans” you can use to buy and renovate distressed properties, and each comes with its own set of qualification requirements and pros and cons. Here’s a look at five options and how to figure out which one’s best for you. Down payment requirements for hard-money loans are also different. You can expect to receive about 60% to 75% of the property value you intend to purchase. If you’re looking at a $200,000 property, for example, the most you’ll probably be allowed to borrow would be $150,000, meaning you’d have to pay $50,000 upfront. However, hard-money lenders are generally more willing to accommodate people with lower credit scores (as low as 550). And there’s much less paperwork than a traditional loan, so the process is faster—sometimes as fast as one week. Because the home being purchased is serving as collateral, hard-money loans are best suited for people who have flipped at least two to three homes. There are so many ways to invest in real estate. Related: 5 Habits of Highly Miserable New Real Estate Investors (& How to Kick Them!) You Might Be a Real Estate Investor If… You have driven by a property with an overgrown lawn and shrubs, and rather than think a lazy homeowner lives there, you wondered if there was an opportunity to make money there. You have investigated several different ways to get more property financing and more mortgages, even though you currently only have a single mortgage—on your primary residence. is not a factor in the investment formula—regardless of what any real estate agent says. You factor in the cost of a property manager—even if you plan on managing the property yourself. You understand that a bad tenant can ruin your rental returns for several years—even though your plan says you cash flow. You make an offer on a property that makes your real estate agent feel embarrassed to submit—and you make a similar offer on a different property later that same day. People tell you, “I looked at that property too, but I could not make the numbers work,” and then they ask you, “How did you get the property that cheap?” People think you are crazy spending so much on a property, and then a few months later, they want to give you their money to invest. You understand that real estate is just an opportunity, and there will always be opportunities.